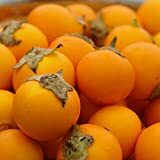 Naranjilla growing herbaceous shrub of the genus Solanum also known as Solanum quitoense, Naranjilla perennial evergreen or annual plant, can grow in tropic, subtropical, mediterranean, desert or temperate climate and growing in hardiness zone 11+ as perennial 8+ as annual. Leaves color green with purple in the bottom or purple vain, some varieties have spines on the leaves. Flower color white with yellow stamen, there is five petals. Fruit edible color green to orange in round shape size can be 2-8 cm, the taste sour with sweet. 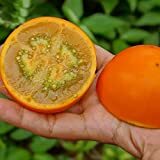 What can be done with big quantities of Naranjilla fruits?